Elleste Solo (Estradiol Hemihydrate) 1mg 84 Tablets is a Hormone Replacement Therapy (HRT). 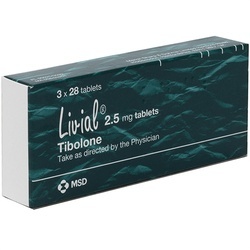 The active ingredient is the female hormone Oestrogen: Estradiol Hemihydrate 1mg. 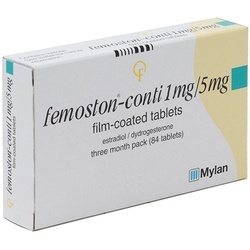 Elleste Solo is used for relief of symptoms occurring after menopause and prevention of osteoporosis. Keep out of reach and sight of children. Do not store above 25 degrees Celsius. Do not use after the expiry date. Always take exactly as prescribed by your doctor. Please read the patient information before taking this medicine. If you are still having regular periods, take your first tablet on the first day of bleeding. If you are not having regular periods, you can start straight away. Swallow ONE tablet whole with some water each day, you can take the tablet anytime of the day however it is best to take it about the same time each day. Follow the direction of the arrows on the pack and take a tablet each day until the pack is empty. The days of the week are marked on the strip to help you to remember to take one each day. When you finish a foil strip, start a new strip on the next day. 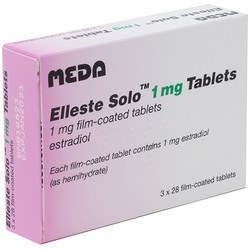 The active ingredient in Elleste Solo (Estradiol Hemihydrate) 1mg 84 Tablets is Estradiol Hemihydrate 1mg. The other ingredients are Lactose Monohydrate, Maize Starch, Povidone, Talc, Magnesium Stearate, Macrogol 400, Titanium Dioxide (E171) and hypromellose (E464). If you have or have ever had Breast Cancer, or if you are suspected of having it. If you have any of the above or are unsure please consult your doctor. 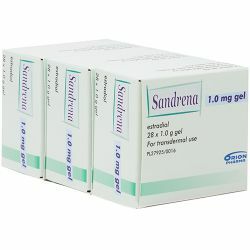 As with all medicines, this medicine may cause side effects although not everyone experiences them. If you experience any of the side effects listed in the patient or not listed in the leaflet please consult your doctor or pharmacist.